The cases of a cynical American police detective and a upright Royal Canadian Mounted Police constable in the city of Chicago. Events with Victoria begin to spiral out of control for Fraser and Ray, putting their careers and possibly their lives on the line. Victoria, the only woman Fraser ever loved comes to Chicago, but does she have ulterior motives? 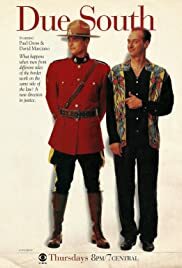 How many episodes of Due South have you seen? Fraser: [to Diefenbaker] Stop stealing the blanket. Fraser: You're an Arctic Wolf, for God's sake. Q: Are the ghosts Fraser sees real or in his head? Q: Does Frasier never use a gun? Q: What do the badges on the sleeve of Frasier's uniform mean? In my opinion this is probably the best TV show ever made, which explains why it didn't last that long. Originality is the key even though it sits within the much copied police genre. A mountie, on the trail of his fathers killer, winds up in Chicago where he befriends a streetwise detective and together they solve the crimes, both big and small, of the Windy City. It's the fact that humour and characterisation take first place over gritty realism (Overrated to be honest) that separates it from, well, every other cop show ever made. 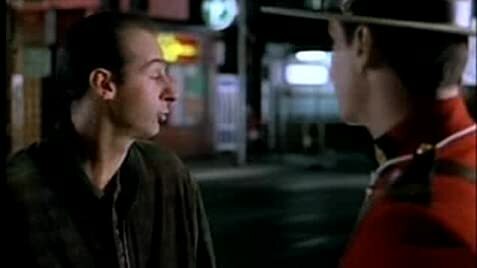 Benton Fraser is undeniably one of the greatest characters ever to grace the small screen and his relationship with Ray Vecchio is both touching and humourous. I admit that the dramatic episodes, such as 'Victoria's Secret' and the magnificent 'Juliet is Bleeding' overwhelm the other, lighter, episodes but that is simply because they are so brilliantly written. When Ray and Fraser are sat in the hospital at the end of 'Juliet' and Ray speaks out about his childhood romance with the deceased Irene (Incidentally played by 'The Matrix's' Carrie Anne Moss) you can honestly feel his pain and the expression on Frasers face says more than any amount of comforting words could. It's little scenes like that which show up the show as truly great and worthy of more than three seasons. My favourite scene however, is at the end of 'The Deal' when, after Fraser is badly beaten by the local Mafia boss, Ray takes revenge on his age old nemesis by humiliating him in front of his subordinates, even though he knows that that action might cost him his life. The bonds of friendship between the two have always been shown to be tighter than steel, that's why the show was so great.The acting too was always top notch and if life is even remotely fair both Gross and Marciano should have no problem finding other work. I love this show and it always made me feel good inside. Even though it's gone I'll always have a special place in my heart for it's warmth and humour. It will be sorely missed. 71 of 74 people found this review helpful. Was this review helpful to you?